In this blog, I will talk about mid heroes as I am a mid player myself. (Keyser currently has 8500+ MMR and is in the top 20 players in Europe). This is one of the best heroes for raising MMR on midlane. You should pick TA when you see their mid and it is not Venomancer, Viper or Ember Spirit. You can play against Ember Spirit but you have to be really good. For example, you can pick the hero if you see the enemy has Lina mid, Invoker, Puck. 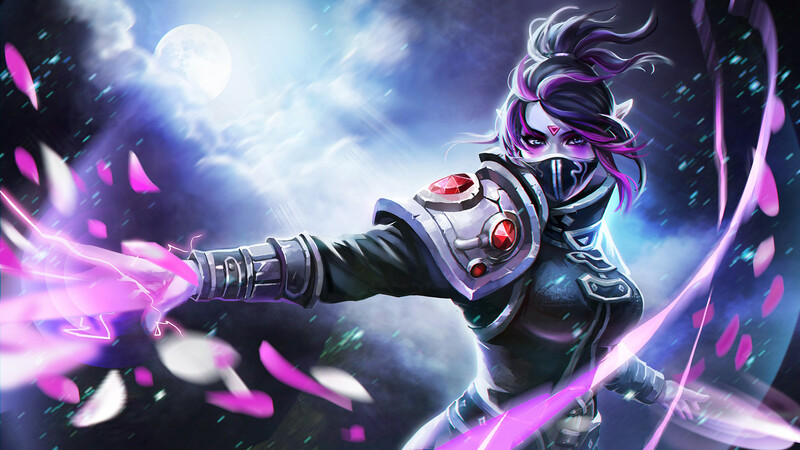 This hero is really strong in public games because she wins her lane, farms really fast and kills heroes and Roshan. You basically want to farm in lane with refraction and psi blades, harass the enemy and deny creeps. You or your team should stack ancient camps to really boost your farm. The item build is Aquila, Treads, Desolator. Keep farming until you get Blink Dagger and then you can kill enemy heroes and towers. The hero is not that easy at first but I think it’s one of the best ways to raise MMR. You should pick this hero when enemy team does not have a lot of disables or early push. This hero is really strong in matchmaking because if you freefarm you can get a 15 minute bloodstone and then control the map and try to raise your bloodstones charges. After bloodstone you get orchid and pickoff enemy heroes. Then shivas/linkens/bkb depending on enemy heroes. 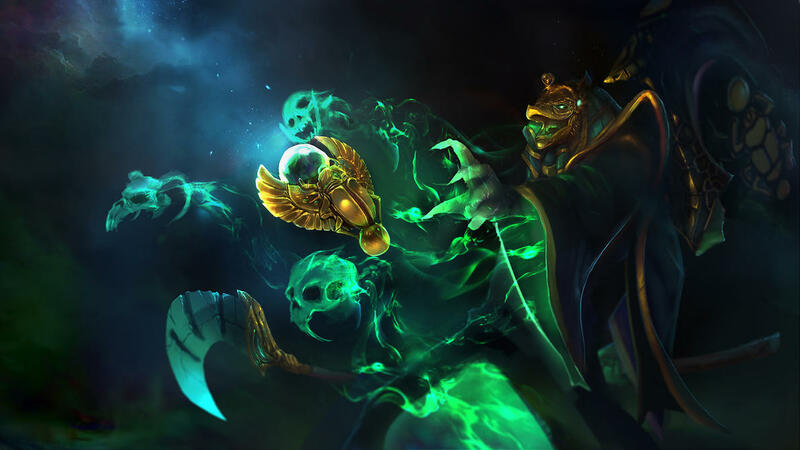 With this hero you want to get all creeps in midlane using your first spell with your passive. If you can’t kill the enemy hero after that you should farm jungle creeps to get bloodstone. He is one of the strongest heroes of the game right now. You can almost pick Necro anytime but you don’t want to play him against Ancient Apparition, Pugna and Nyx assassin. Your gameplay is to farm midlane and out sustain your enemy using your first spell. First item is usually veil, hood or force staff. After that you can rush radiance and be really annoying to the enemy team. You want to get tanky after radiance because if enemies cant kill you in teamfight they will lose the game. You should not use ulti to killsteal an enemy hero if you are full hp because it has a long cooldown. When you are low hp you should use first spell and magic wand after second spell to heal to full hp. Remember not to underestimate your opponents and go 1v5 although the hero is extremely tanky. Good luck with raising your MMR and good teammates in your matches!